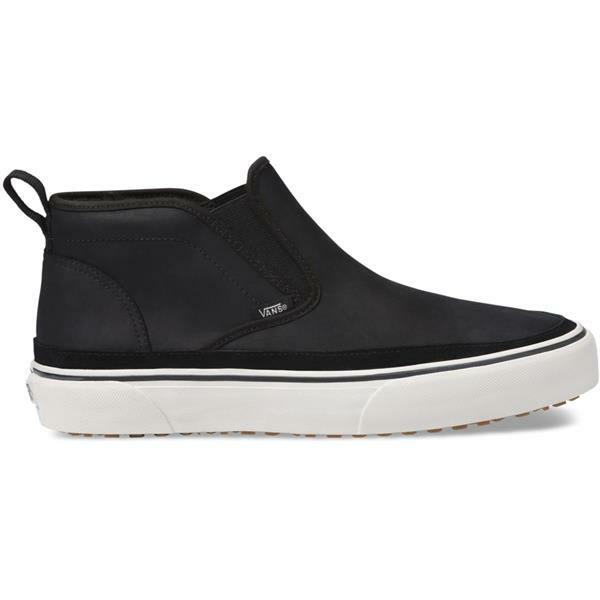 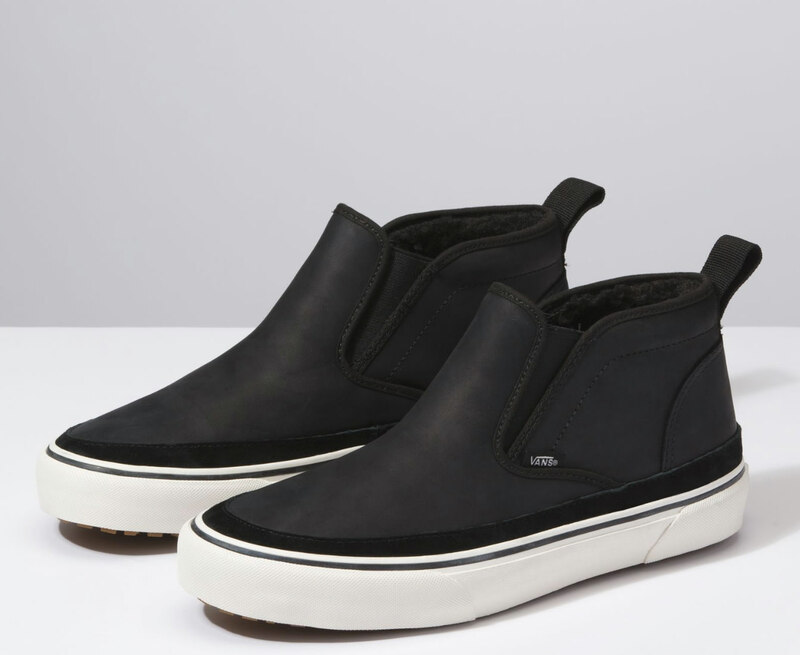 The Vans Mid Slip SF, part Classic Slip-On and part Chukka Boot, gets an upgrade with the Vans Surf SF build. 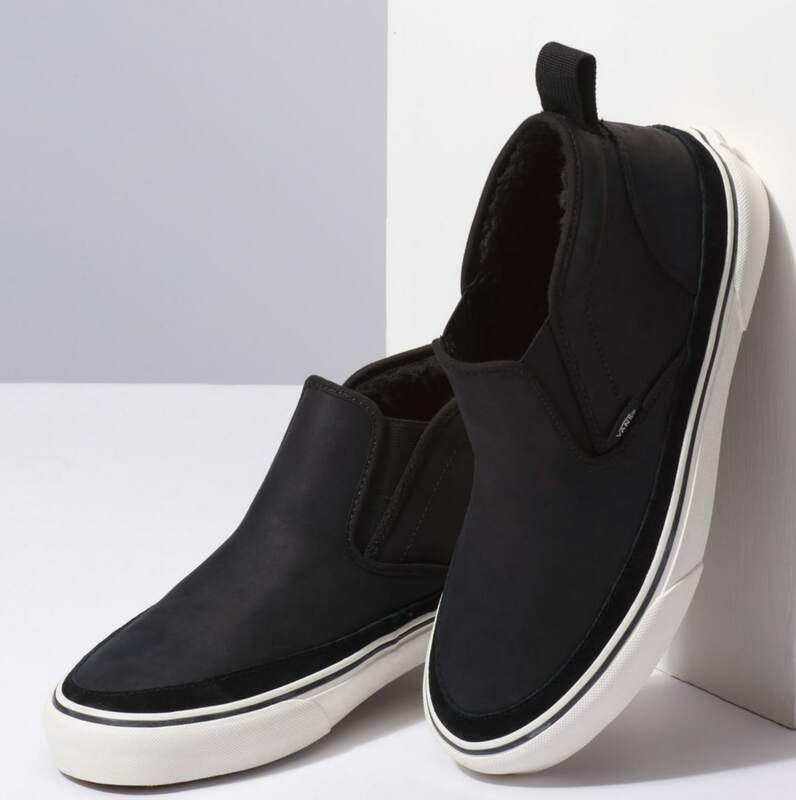 Made with suede uppers and warm lining details, the Mid Slip SF also features water-based inks and glues, the new molded-heel UltraCush sockliners for upgraded breathability, and classic rubber waffle outsoles with single-wrapped foxing tape for lightweight comfort. 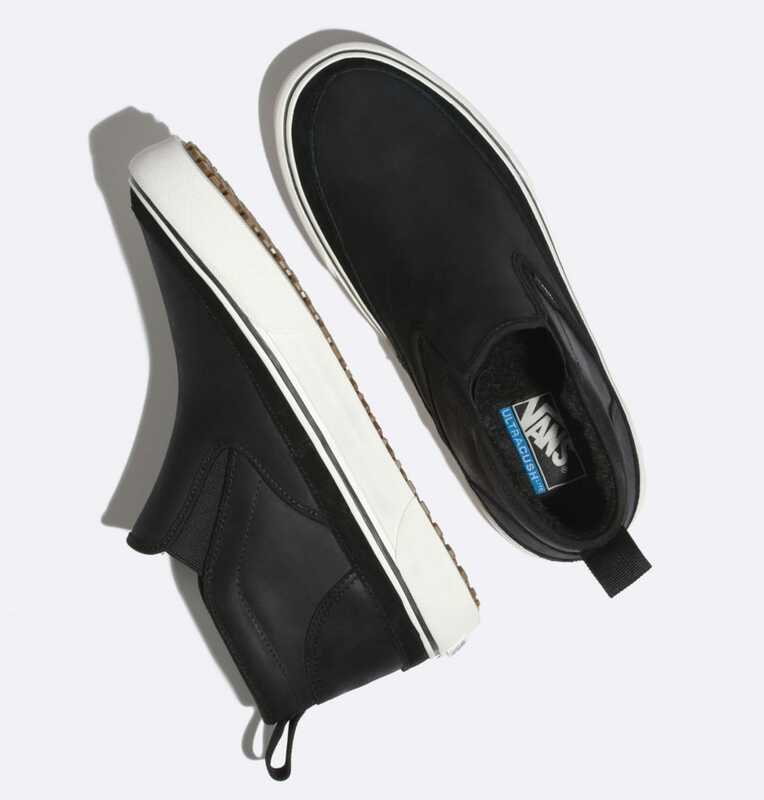 Elastic side details and an ankle pull-tab help give this style a classic Vans aesthetic.